Bugaboos Canada. Pic Brad White for CMH. I wasn’t wrong, the province of British Columbia in Canada is about the size of France and Germany combined and has ten distinct mountain ranges within its borders. Many of these peaks soar above 3000 metres, providing vertical relief on par with much of Europe and snowfall figures that easily match or exceed Japan’s powder magnets. Combine this with a season that often lasts from November to May and you start to get an idea of the lifetime of skiing you can do here. While you can get a great taste of Canadian snow by road tripping through the 13 plus ski resorts in British Columbia, to really experience the vastness head into the backcountry to cat ski, heli ski or ski tour. Though budget, fitness and personality will determine which is the best for you. Either way, you’ll need to be a strong intermediate skier, confident in powder snow to make the most of your backcountry experience. If you go with an established backcountry heli, cat or ski touring company, they’ll take care of all avalanche safety equipment and procedures and provide the certified ski guides that ensure you’re covered by many ski-specific travel insurance policies. Of course we also always recommend you do as much avalanche training as you can, even an intro course. Most operations will start running in early to mid December and wrap up in early April depending on snow conditions with more availability and lower pricing in the shoulder months. But be warned, once you’ve gone once you’ll be hooked. Is cat skiing for me? Cat skiing has grown in popularity over the past couple of decades and ranges from around $500 for a day trip through to multi-day luxury lodge stays. Each of the 20+ cat ski operations in BC lease massive tenures of crown land and build out a network of snow roads to access a huge variety of terrain. A typical cat (a snow groomer with a purpose built passenger cabin) holds 10-12 guests with a lead and tail guide, so terrain choice will be suited to the weakest skiers in the group. Of all the options to experience backcountry powder, cat skiing is definitely the most relaxing way to go. While you’ll do some epic runs, there’ll often be around 30 minutes of chilling in the cat so you can rest your legs on the way back up for the next run. You’ll typically be skiing/riding fun, rolling terrain in the alpine or through gladed trees but you may experience more challenging pillow lines and the occasional steep chute for a stronger group. Given the cats don’t travel uphill very quickly, most runs are around 300-500m of vertical depending on the operator as some access bigger terrain so you may get to ski 700-900m of vertical with a lower run count. Cat ski lodges run multi-day trips throughout the season (Priced from $1000+ per day inclusive of accommodation, food, heli transfers to the lodge if remote and also guided skiing), but bear in mind that up to 80% of their bookings are return visitors, so you really need to start booking a year in advance for peak season in February and March. Some cat ski operators also offer heli skiing so you can combine the two. That’s one lucky guy in the white room, right there. Pic from Mike Wiegele Helicopter Skiing. If your budget isn’t limited or you’ve been saving for that bucket list adventure, a heli ski trip will give you the biggest runs of your life with the added thrill of zipping around the mountains in a helicopter with one of BC’s many heli ski companies. At the lower end of the price scale, you can find operators that offer 3 runs for around $1000 with a cost per run beyond that. 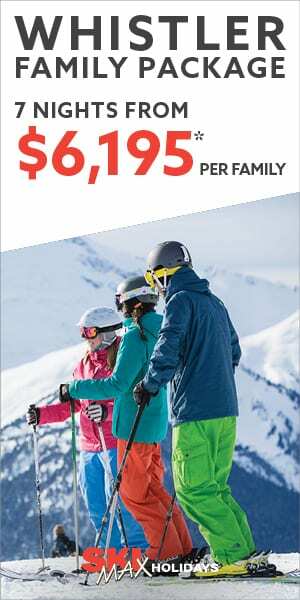 Heli ski companies will calculate their price based either on number of runs, vertical feet skied or provide a flat day rate with no set guarantee of what you’ll ski. A heli ski day is usually pretty intense with long runs through varied terrain and short turnarounds between pick up and your next drop. While it’s technically true that intermediate skiers can still go heli skiing, our advice would be to get very confident skiing powder inside the resorts to get the best bang for your buck on a heli trip, as every fall or lost ski just cuts into your group’s number of runs. The big step up from day heli skiing is a multi day heli-lodge stay. Pricing for these generally start at around $4000 for three days to $10 000 for seven. Some lodges can even be privately rented from around $150 000 per week if you’re a tech mogul or Russian oligarch. A few of the better known outfits use larger Bell helicopters that hold 10 guests and two guides. 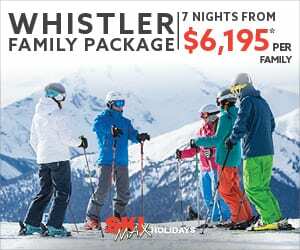 This helps bring the price down for multi day lodge heli skiing. You’ll be placed either in a group with your friends or a group based on similar ability levels so that you can ski/ride appropriate terrain for you. Other operators use the smaller A-Star helicopters that hold four guests and a guide. This generally means groups can be better segmented based on ability with quicker turnarounds. If you can organise it, the ideal is to have four friends ski together in the one smaller helicopter, bearing in mind that one helicopter typically serves three to four groups at a time, so while your own group may be fast you can still be waiting around while other groups get picked up and dropped off. To get around this, some operators offer private heli days that only serve your group, but these are priced from around $10 000 per day. Some multi day operators offer Powder Intro weeks for first timer heli skiers to get their powder heli legs with others doing the same. As with cat skiing, the big heli-lodges rely on return guests so you need to book well in advance for peak months. If all this expensive, mechanised skiing isn’t your idea of a peaceful day in the mountains, BC is home to over 30 remote backcountry lodges that serve as bases for ski touring trips. Most of these lodges offer guided weeks for 10 to 15 guests with pricing between $400 – $600 per day inclusive of accommodation, food, ski guiding and helicopter drops in and out of the lodge itself. Groups will then be split amongst two to three guides based on objectives for the day, pace and skiing ability. 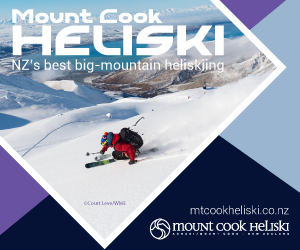 These lodges have similarly large tenures of crown land to explore as the heli and cat operations, the difference being your ascent to the peaks is all under your own steam, skinning or ski touring up then skiing down. Unless the lodge has specifically advertised a novice week, you should expect to be joining a group of very fit, experienced ski tourers with guides intent on maximising their experience. A typical day might involve four to six hours of skinning up (1500m – 2500m of cumulative vertical over a 10km – 15km distance) with three to five long runs away from and then back to the lodge. By the end of the week you’ll have easily climbed the equivalent of Mt Everest, the reward being the generally high standard of guest’s skiing means your guides will take you into progressively more challenging terrain. To get the most out of a ski touring week, you need a very high level of fitness and a real love of skinning up, and up, and up. Your skiing ability doesn’t need to be expert, but you should be confident in all types of terrain and snow conditions, as you’re likely to ski from perfect powder in a 3000m high couloir down through every other variety of ice, crust and crud on the return to the lodge. Check out our backcountry skiing section of the site for more heli skiing, cat skiing and ski touring stories.